Simon Zebo has dismissed suggestions he is finding it hard to break into the Ireland set-up because of his exuberant try celebrations. 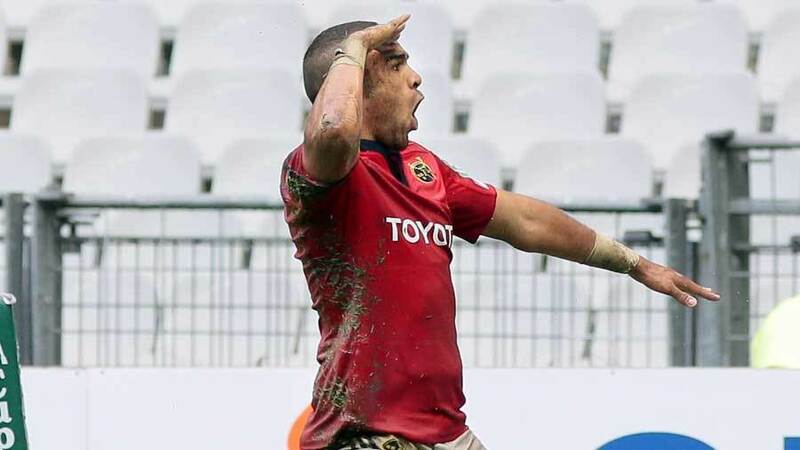 Zebo returned from injury in January and scored five tries in four RaboDirect PRO12 games. Despite his impressive form, he failed to break into the Ireland team during the 2014 Six Nations with Andrew Trimble and Dave Kearney preferred. There were suggestions Zebo was overlooked due to a difference of opinion with Joe Schmidt, but Zebo has dismissed these notions saying he was told to work on his defensive skills. "Talk about try celebrations is nonsense," Zebo told the Irish Examiner. "I don't think there's anything behind that. Joe loves to have fun on the training park and things like that. I don't think I'm the only one to celebrate tries. It's probably people looking for a reason as to why I wasn't picked. "It's nothing to do with finding reasons. It's simply that Dave Kearney and Andrew Trimble have done such an incredible job to keep the jersey. They've made it tough for me."